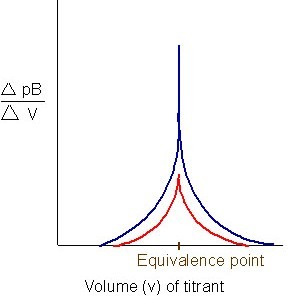 The titration curve can be plotted using experimental results or can be calculated theoretically. It gives an indication of the completion of the reaction. The size and the steepness of the vertical portion of the titration curve around the experimental point governs the feasibility of the titration by accurate and precise location of the experimental end point. c) In the selection of the suitable indicator.